Nov. 9, 2018, 11:28 a.m.
By Laura Hazard Owen @laurahazardowen Nov. 9, 2018, 11:28 a.m. The newspaper’s “morgue” has 5 million to 7 million photos dating back to the 1870s, including prints and contact sheets showing all the shots on photographers’ rolls of film. The Times is using Google’s technology to convert it into something more useful than its current analog state occupying banks of filing cabinets. Specifically, it’s using Google AI tools to recognize printed or handwritten text describing the photos and Google’s storage and data analysis services, the newspaper said. It plans to investigate whether object recognition is worthwhile, too. Here are some of the photographs, dating back decades, that are being resurfaced from their file drawers — including a selection from that covering-California project. 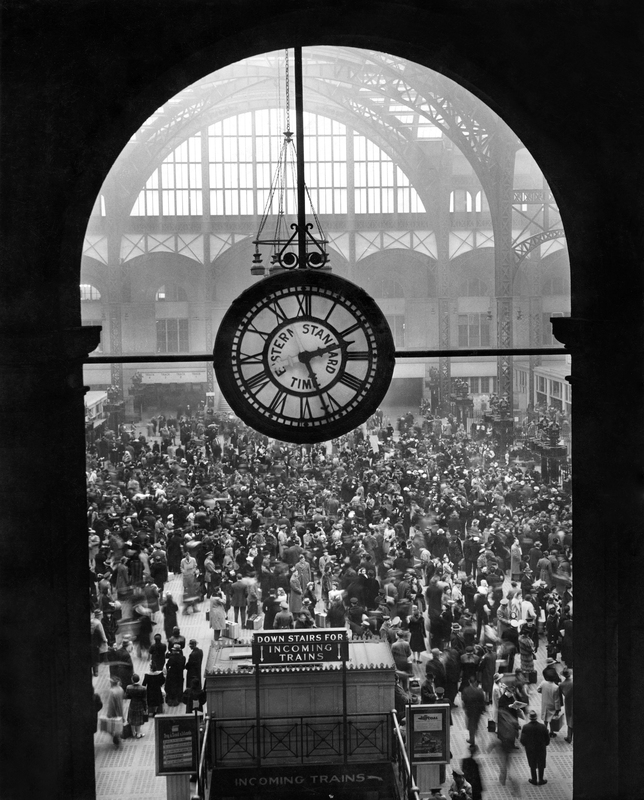 “The scene in Pennsylvania Station yesterday afternoon.” Benjamin J. Greenhaus/The New York Times, December 25, 1942. 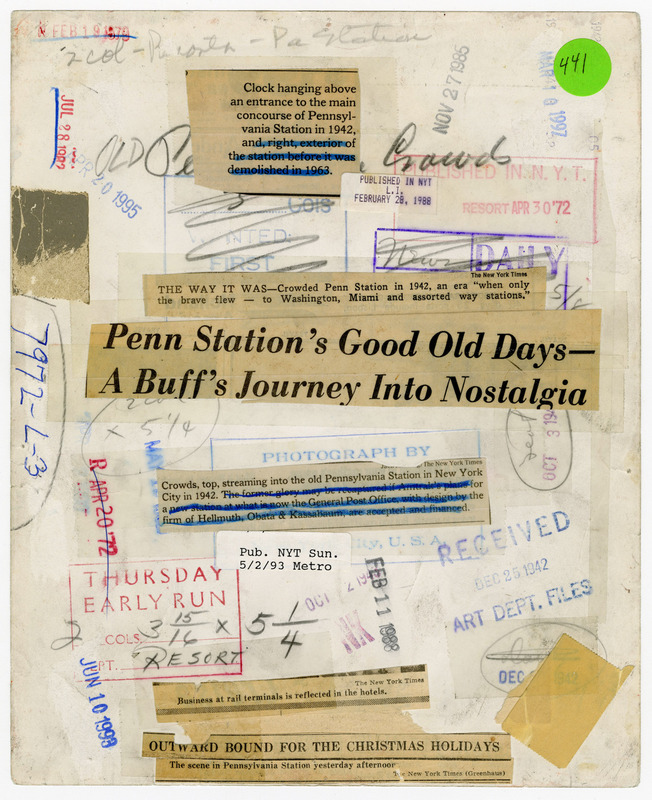 The back of that Penn Station photo. 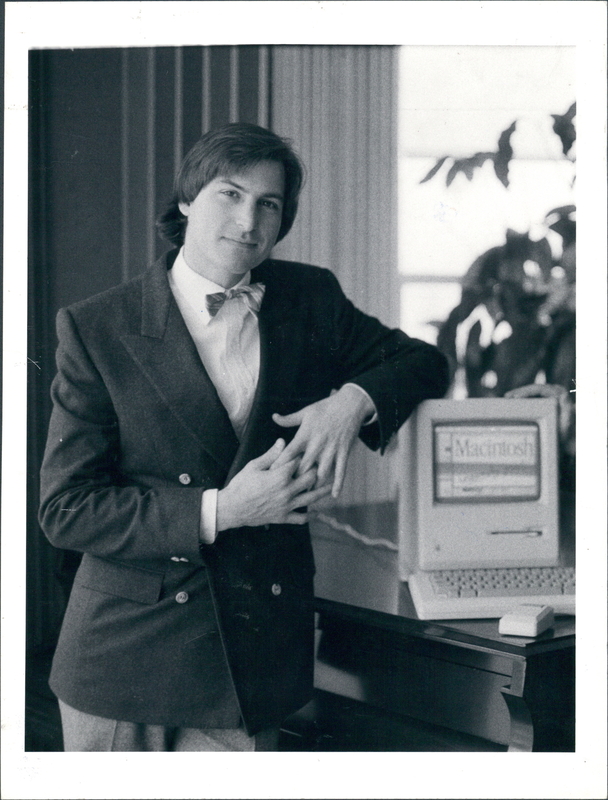 “Apple chairman Steven P. Jobs at the Hotel Carlyle in New York with the new Macintosh personal computer.” Marilynn K. Yee/The New York Times, January 16, 1984. 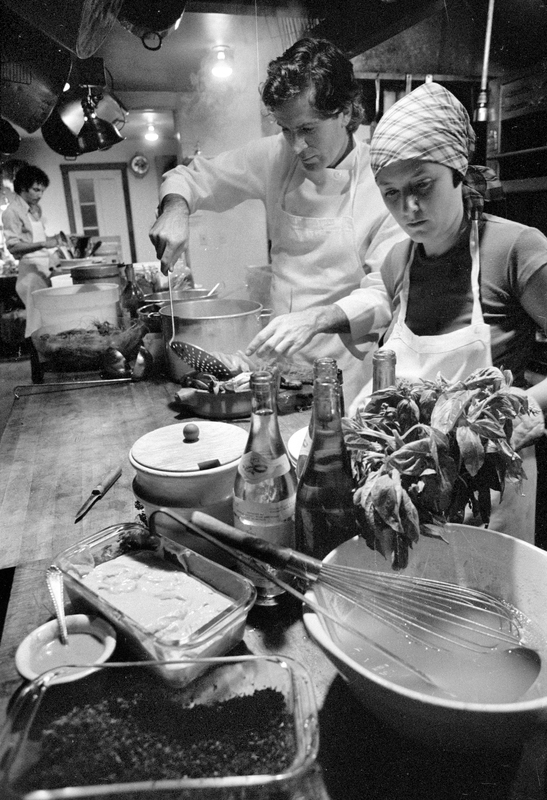 “Jeremiah Tower and Alice Waters prepare a meal at Chez Panisse.” Sandy Solmon/The New York Times, November 11, 1975. 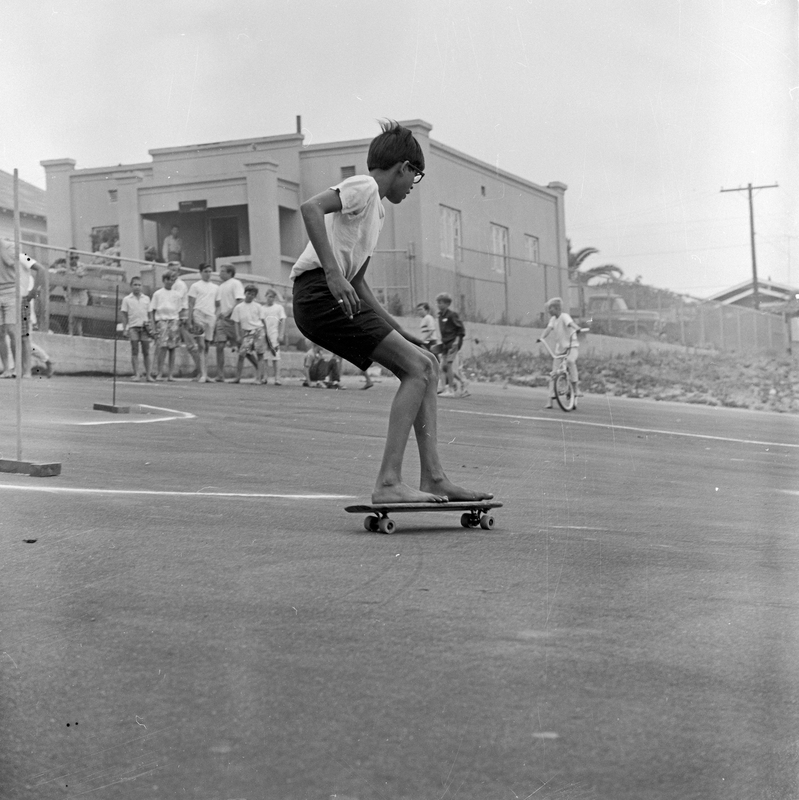 “The Olympics may help show that the city has finally come of age. 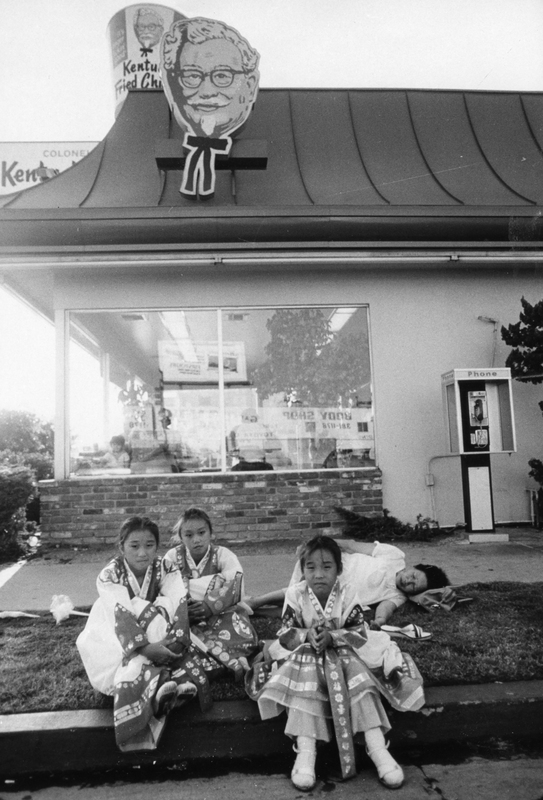 The Korean community in downtown Los Angeles may exceed a quarter of a million, including these girls outside a Kentucky Fried Chicken stand.” Bill Nation/The New York Times, July 22, 1984. “The scene at Hermosa Beach in Southern California during the International Surf Festival.” Bob Martin/The New York Times, August 9, 1965. 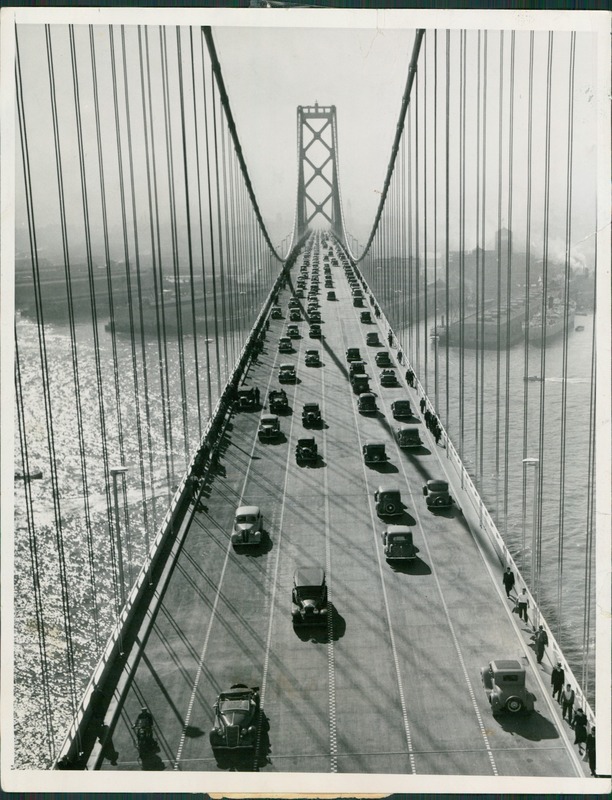 “The first traffic to cross San Francisco's new bridge. Part of a stream of vehicles, estimated at 47,000 for the first nine hours, after President Roosevelt pressed a button in Washington inaugurating the San Francisco-Oakland Bay spans.” The New York Times, November 12, 1936. 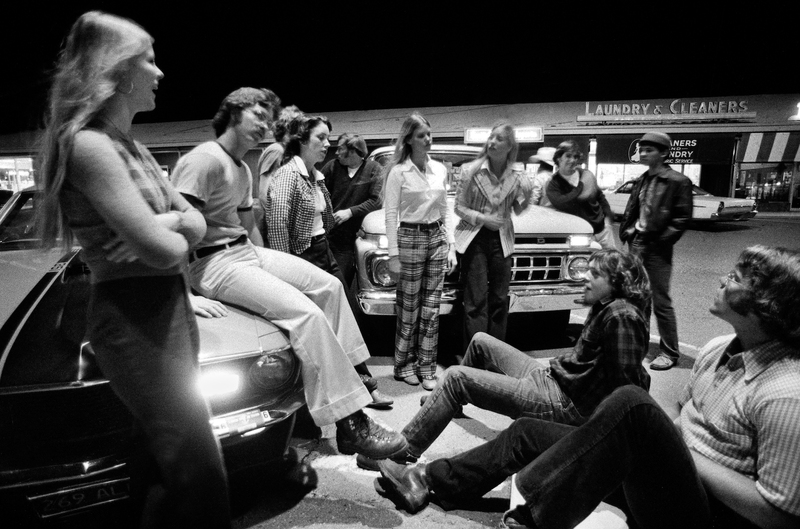 “One of the shopping center parking lots on McHenry Avenue, a two-mile cruising strip in Modesto, Calif., at 10 p.m.” Teresa Zabala/The New York Times, April 1, 1974. “Such a big board for a little girl: But Regina Gleason, like so many young women in this aquatic paradise, knows just how to manage it. 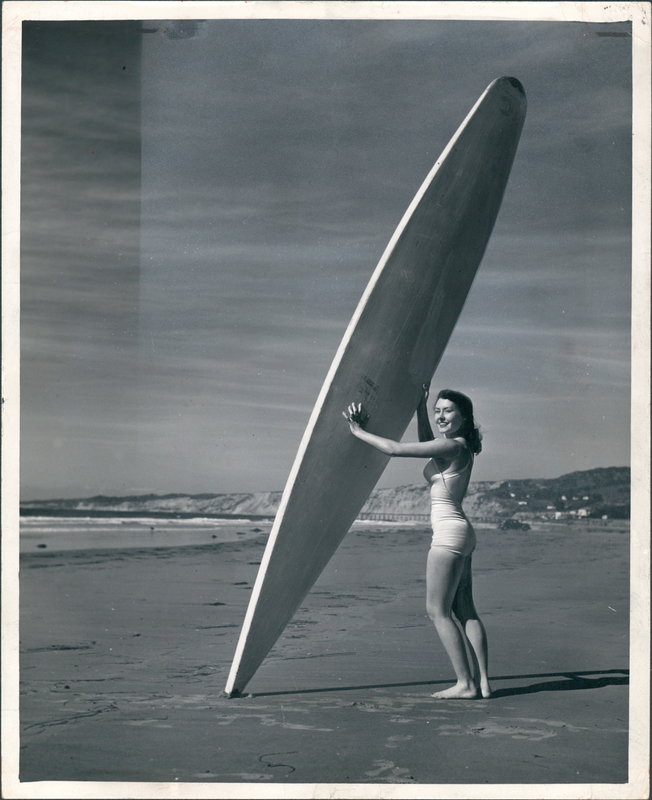 Surf-board riding is a popular sport at San Diego's many beaches.” The New York Times/Edward Sievers, June 3, 1948. 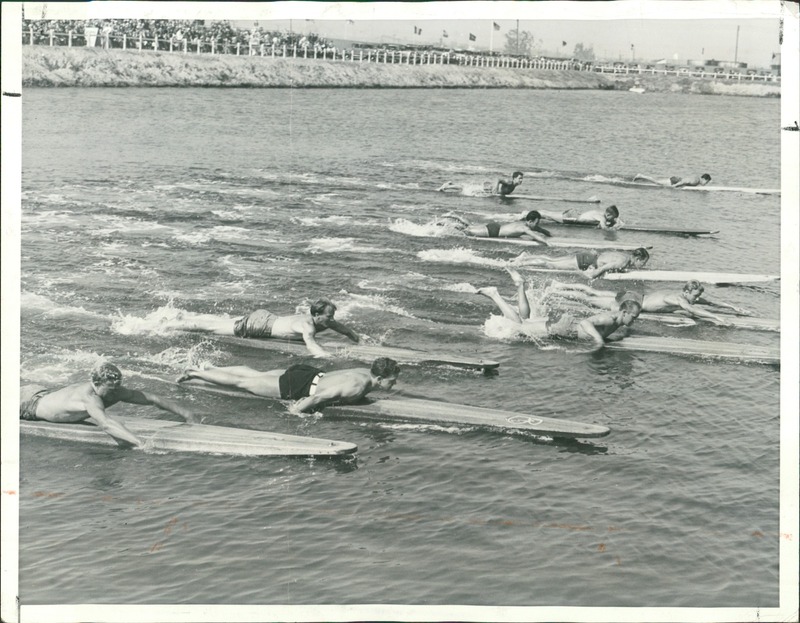 “Lake Los Angeles motorboat race course, Venice, Calif., mid-1930s. Hawaiian paddleboard race with over 7,000 fans turning out to watch the competition.” The New York Times. The New York Times morgue. Earl Wilson/The New York Times, April 24, 2018. All photos used with permission of The New York Times. POSTED Nov. 9, 2018, 11:28 a.m.
Owen, Laura Hazard. 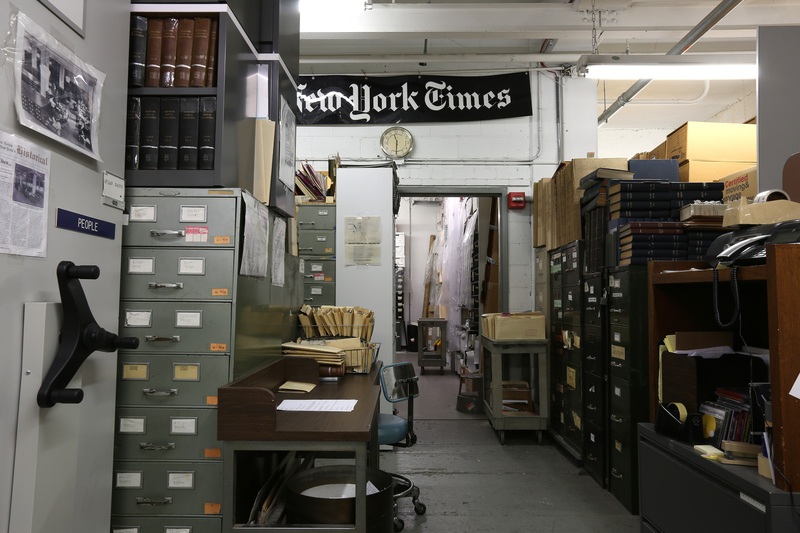 "The New York Times is digitizing more than 5 million photos dating back to the 1800s." Nieman Journalism Lab. Nieman Foundation for Journalism at Harvard, 9 Nov. 2018. Web. 24 Apr. 2019. Owen, Laura Hazard. 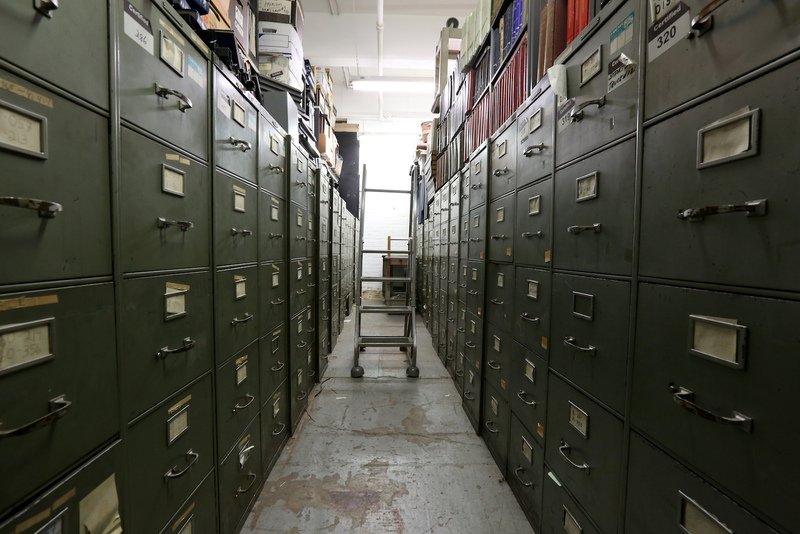 "The New York Times is digitizing more than 5 million photos dating back to the 1800s." Nieman Journalism Lab. Last modified November 9, 2018. Accessed April 24, 2019. https://www.niemanlab.org/2018/11/the-new-york-times-is-digitizing-more-than-5-million-photos-dating-back-to-the-1800s/.